Cisco announced that it has sold its 50 millionth IP phone, up from 30 million sold through just two years ago. The switching giant—Cisco also said it will make software for presence, instant messaging and Cisco Jabber IM clients available for free to its Unified Communications Manager customers. The supported OSs includes Windows, Mac, iPad, Cisco Cius, iPhone, BlackBerry and, later in 2012, Android, O’Sullivan said. 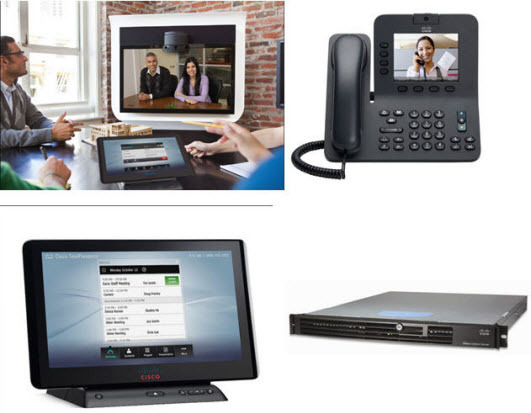 The move helps companies “deploy a unified communications client that is BYOD-ready,” he added. BYOD refers to Bring Your Own Device, a trend where companies allow workers to use devices of their choosing to connect to company data wirelessly. O’Sullivan noted that desktop phones are still popular because of voice quality and other features, and because companies can add software that connects the desktop phone number to a smartphone or tablet when in the field. Jabber software can be used to move beyond text IM to videoconferencing from a mobile device as well. Features include the ability to engage not only in one-to-one chat but also in a group session, and to transfer files. The Jabber software also keeps logs of users’ IM activity, and is integrated with Microsoft Office, offering presence and IM features within the Microsoft applications. Cisco’s announcement is definitely good news for CUCM customers who currently rely on consumer-grade services for their employees’ IM communications. This gives them enterprise-class, secure IM, which lets IT control who does what, establish policies and monitor usage. “That’s a huge benefit,” he said. However, the decision to adopt the Jabber system will not be a foregone conclusion for CUCM customers who are already using an enterprise-grade IM and presence system from another vendor. In those cases, enterprises will need to assess the pros and cons of ripping out their existing system and replacing it with Jabber, especially if the existing system is tightly integrated with other collaboration applications, like e-mail and software for setting up collaborative workspaces and sharing documents. That’s an enterprise-specific decision that needs to be made on a case-by-case basis.